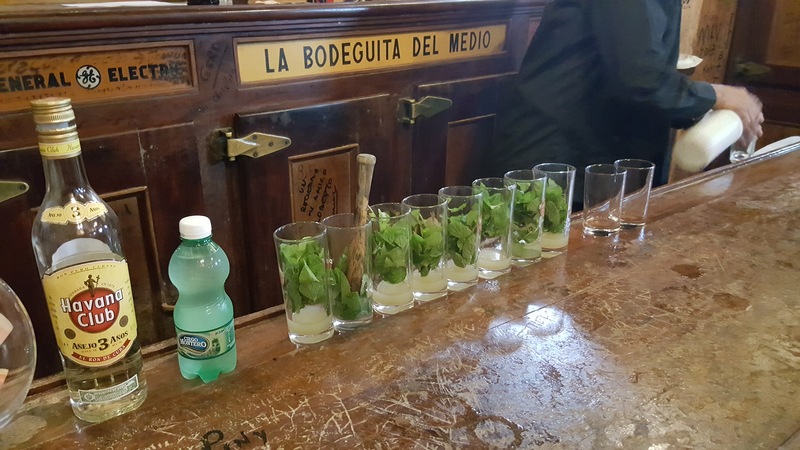 La Bodeguita – A famous bar for its mojito. 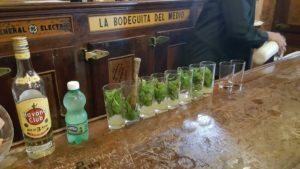 The only difference is that they use the Havana Club 3 year in their mojito. 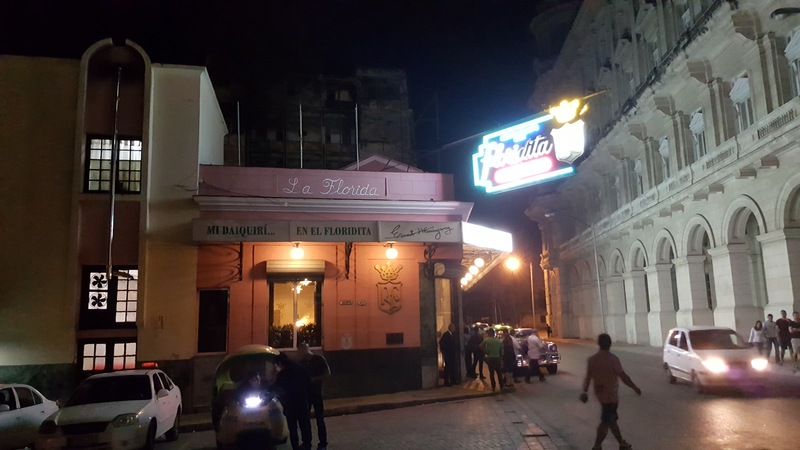 El Flordita – A famous bar for its daiquiris. Ample room to sit in the back room. San Jose Artisans’ Market – a large warehouse with many individual stalls. 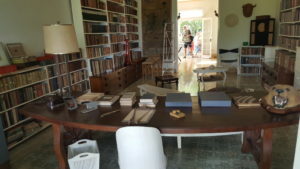 There was some interesting art, along with the usual fridge magnets, t-shirts, cigars, humidors. 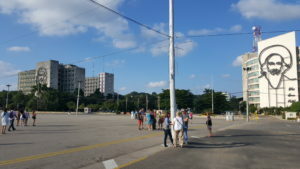 Revolution Square – A large square with many government buildings surrounding it. There are large metal profiles of Che and Castro on the side of two buildings. If you have the chance, wander through Old Havana and you will have many photo opportunities. There are many buildings in disrepair mixed in with buildings that had been renovated. Much of the city still retains its old European influence due to lack of funding to do anything other wise. There are two currencies: CUC and Pesos. Pesos is mostly given to Cubans as subsidies for food (supermarkets), electricity, and other utilities. CUC is the main currency used to buy goods, like dinner, drinks, cigars, clothes, etc. CUC is the only currency foreigners will use and the rate is around 0.85-0.90 CUC for every USD. Many stores will accept USD but they may charge you a slightly lower rate for using USD. Despite Americans being allowed to travel to Cuba (through an easier Visa process), the trade embargo is still in place. This means that buying Cuban products outside of Cuba is still illegal. The limit is $400 or $100 of Tobacco and Liquor that you bring back directly from Cuba, but I didn’t even get stopped in Miami while literally holding Cuban cigars in my hand. Roaming (data and messages) is expensive in Cuba. 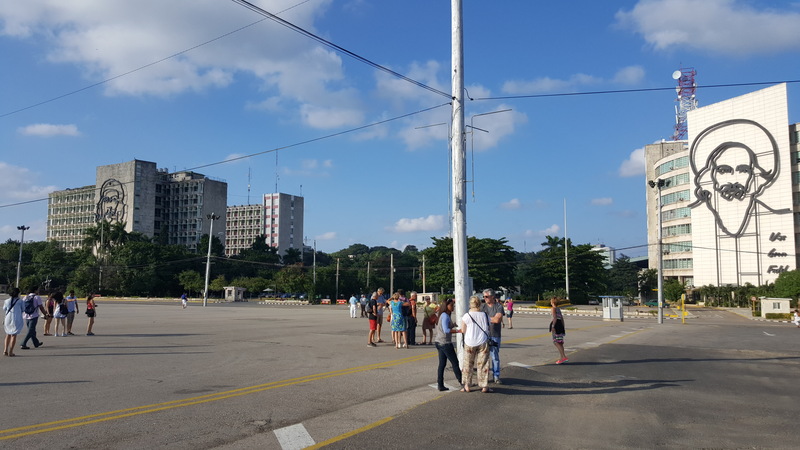 None of the American cell phone carriers have reasonably priced plans for Cuba. They are often in the range of a few dollars a megabyte. Internet speeds are not great. If you go to internet cafes, the internet speed can vary widely throughout the day and at different cafes. The internet was only usable at my hotel for a few hours at night. Otherwise, I had trouble either connecting to the wifi or getting any data once I was connected. It can be hit or miss. How to deal with no data – Like I said above, there isn’t any affordable city wide data service and wifi hotspots are far and few in between. What I did was look up stuff either in the morning or at night and make sure to fire up Google Maps when you have wifi to download the maps. GPS will still work in airplane mode so you can see where you are and you can use it to navigate around the city. You won’t miss the internet – the first day or two was a bit weird without data, but all of us as a group got used to not checking our cell phones every five minutes and it was very freeing. By the end of the trip, many people were using our cell phones to review pictures. Mojitos taste better with Havana Club. I definitely like a mojito with Havana club better than the normal white rum. I can never go back to drinking the pre-made mojito mix since it is far too sweet. Online reviews note that Havana club tends to be a bit sweeter by itself. Cuban Coffee – it tends to be small, very strong, and very sweet. Be prepared. Don’t buy the hype of a bar Ernest Hemingway went to – he was a prolific alcoholic, so he drank everywhere. However, the two above listed places are the most famous. Food is surprisingly good – Due to the US embargo, they have continued to have problems with a steady supply of imports of any kind, including food. They seem to have sufficient food overall, but the variety is lacking, especially spices. Also, restaurants have a hard time staying open because of the lack of continuity of food supplies. One week they will have lettuce. Another week they wont. Despite these limitations, we always had a great meal at the various private restaurants we went to. Typical Cuban meal – this is probably not a surprise for anyone who had Cuban food before. It is typically a protein with a side of white rice, rice with black beans, black beans, plantains, and sometimes a small side salad. 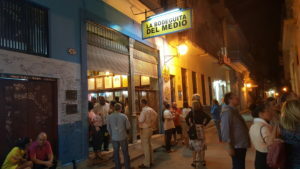 Private restaurants – Cuba have only recently allowed private restaurants to open in the past few years. There were a few long standing private restaurants but they have granted about 500 licenses for private restaurants in the past few years. There is no shortage of chicken – like every other tropical island, chickens grow very well here, so there is no shortage of it on menus of various restaurants. We had chicken almost every meal while we were down there. It was very good, but after coming back to Miami, it lacked a bit of flavor. Cuban cigar prices – For those who don’t know much about cigars, they typically run between $3-$20 a piece (they either come loose or in metal tubes), with boxes of various sized cigars running from $50 for cigarette sized ones to over $300 USD for the biggest sizes. If you are interested in buying Cuban cigars and liquor, make sure to bring enough cash with you. Cigars needs to be kept in a humidity controlled environment and keeping them in either humidors or wooden boxes will make them last longer. The store owner claimed it will last three years in a passive wooden box. You can get a larger wooden boxes that acts like a passive humidor (put a wet towel in there and there is a humidity gauge outside) for a reasonable price, so look into that if you’re serious about keeping them long term. Take a look at this humidor on Amazon and make sure to read the comments about seasoning and humidor gauge calibration. You can find the same Cuban brand of cigars made in Dominican Republic. 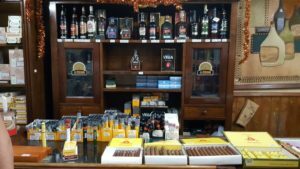 From the store owner in Miami, the flavors are different so if you are looking for Cubans, Dominican cigars may not be a direct replacement. Rum – there are two main brands that are made in Cuba – Havana Club and Santiago de Cuba. 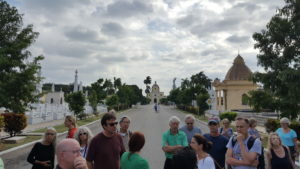 Some of the locals prefer Santiago de Cuba (Castro prefer it) so if you want to get something rare and something you can’t easily get outside of Cuba, get Santiago de Cuba. 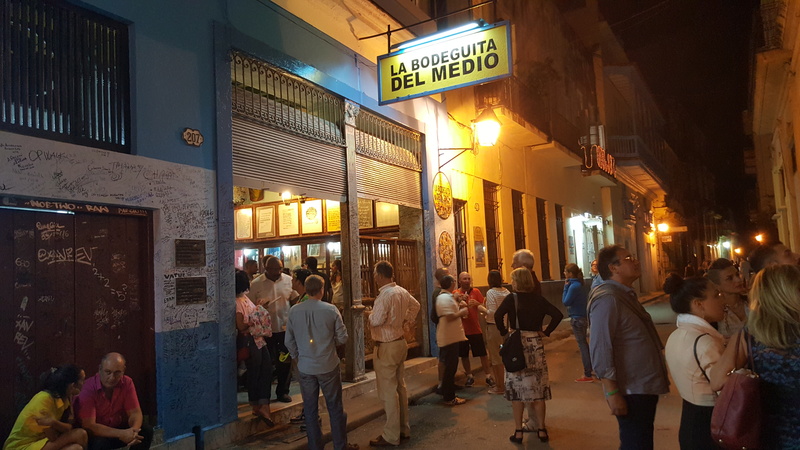 Santiago de Cuba is at a lower price point but Havana Club seem to be better rated online. Havana Club in the US – Bacardi has the trademark to produce/sell a recipe of Havana Club in the US. However, it is very different from Havana Club (the brand and liquor). Why Cubans are bringing back TVs and car tires – Cuba is a small country so they don’t have access to many items, such as tires in a certain size, screws in a certain size, etc. Whatever things you can buy in Cuba, there is a 250% tax on, so it is very expensive. There is a grey market where people get other people to bring back things into Cuba to sell, like TVs. Don’t be surprised to see at least two flat screen TVs on a charter flight. There are many classic cars – but most of them are complete crap. The ones you see in pictures aren’t necessarily the rare ones, but rather the base models that have been kept well. The shells of the cars (exterior) may have been kept in good condition, but everything else is junk. The engines probably don’t match and the dashboard is not in great condition. The rest of the cars you’ll see is mostly older Russian cars (lada) and a mix of newer cars, like Toyota, Kia, etc. It definitely makes for an interesting game of car spotting. There are only a handful of models in Cuba so you’ll get good at it real quick. But because of the 250% tax, cars are very expensive, so there isn’t many newer cars in Cuba. Don’t expect Americans to be rushing down to Cuba to snap them up anytime soon other than for literally the shells of the cars. Safety – I didn’t find Cuba to be unsafe at all, but use your best judgement. I didn’t have my DSLR on the island at all, but there were many who had it during the daytime. I walked around Old Havana in pitch darkness at night and it was fine. I always kept my phone in my hand and put it away once I was done with it. 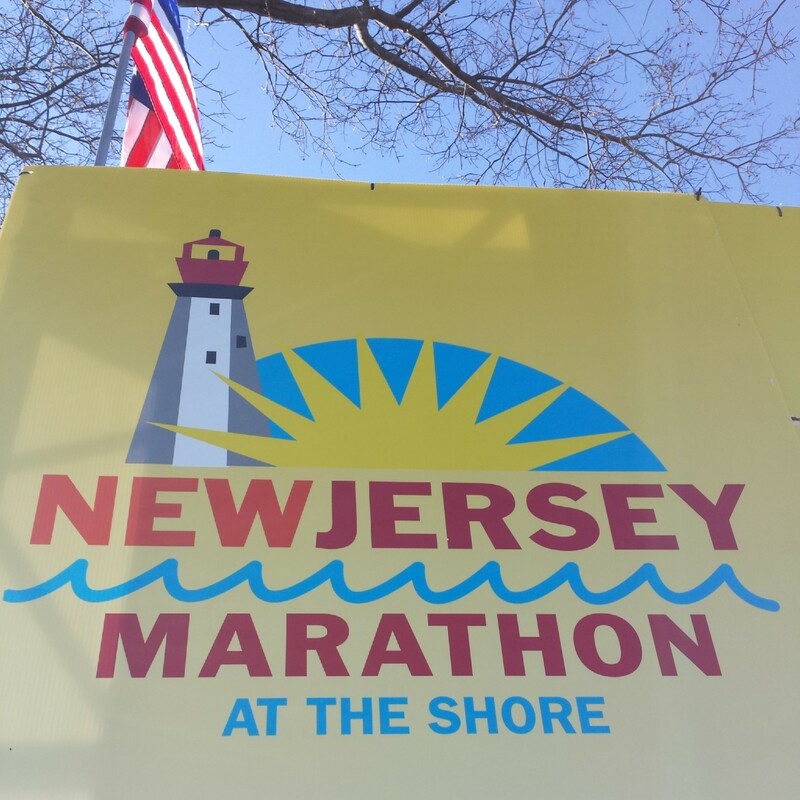 There is no marathon expo to speak of. Just bib pickup. No other merchandise outside of the race shirt and medal you get. Expect to have whatever you’re bringing to Cuba to be the only things you’ll have with you on race day. 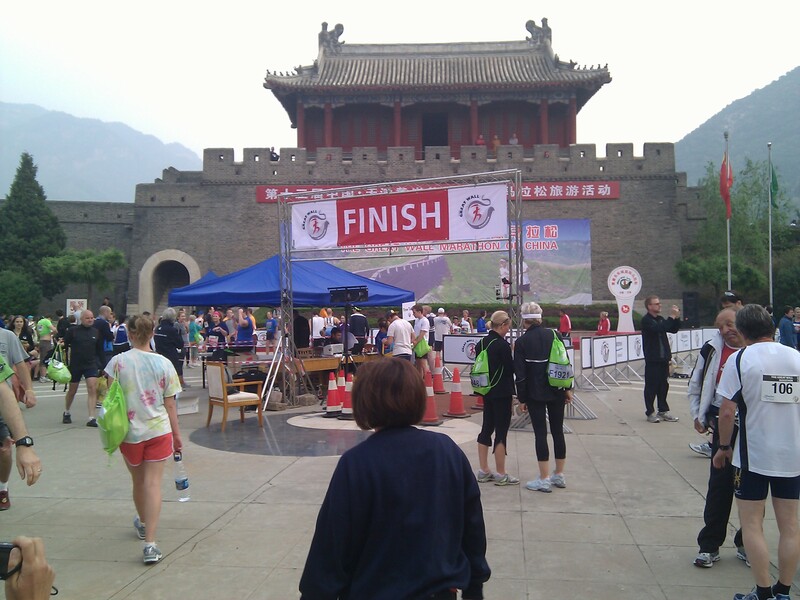 On the course, there is fruit juice on the second half of the race for only the marathoners. They typically have enough electrolytes that makes a good replacement for gatorade. You will be running alongside traffic (cars, buses) for much of the course and the cars don’t have the most modern emission controls so be warned. It would be beneficial to do a pre-marathon run on the sidewalks near traffic so you get used to the car emissions since you’ll have to deal with it on race day. The course officials will allow cars to cross in front of you on the back half of the course. After going just once, I would love to go back again and get to smoke a few cigars in Cuba and also go around the island to try some rum at the distilleries. 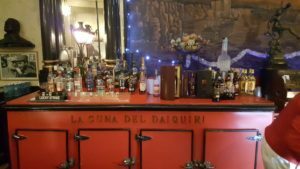 There didn’t seem to be a good place for a tasting of various Cuban rums in Havana except at the bar. I’ll also look to do some scuba diving. Because of their limited resources, they don’t use pesticides on the island, so the waters around Cuba are pristine and very tightly monitored for the health of sea life. 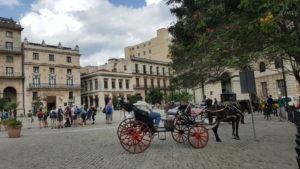 4 Comments on "Things I Learned on My Trip to Cuba – Havana Trip Summary"
i believe in the past month or so the policy has now opened up and now you can buy cuban rum/cigars from any country under normal duty free limits. We had our lodging prebooked and I don’t have much experience with other lodging options. I know Airbnb has properties in Cuba now so that could be the place to start.